The nineteenth century witnessed a revolution in the principles, practice and reputation of surgery. Crucial Interventions – the follow-up to my best-selling and award-winning The Sick Rose – is another unique and captivating collaboration with Thames & Hudson and Wellcome Collection. Arranged in anatomical order, from head to toe, and accompanied by an authoritative, eloquent and inspiring text on the cultural and intellectual history of surgery, Crucial Interventions draws on the very best examples of rare surgical textbooks with a focus on the extraordinary visual materials of the mid-nineteenth century. Unnerving and graphic, yet beautifully rendered, these fascinating illustrations include step-by-step surgical techniques paired with medical instruments and depictions of operations in progress. 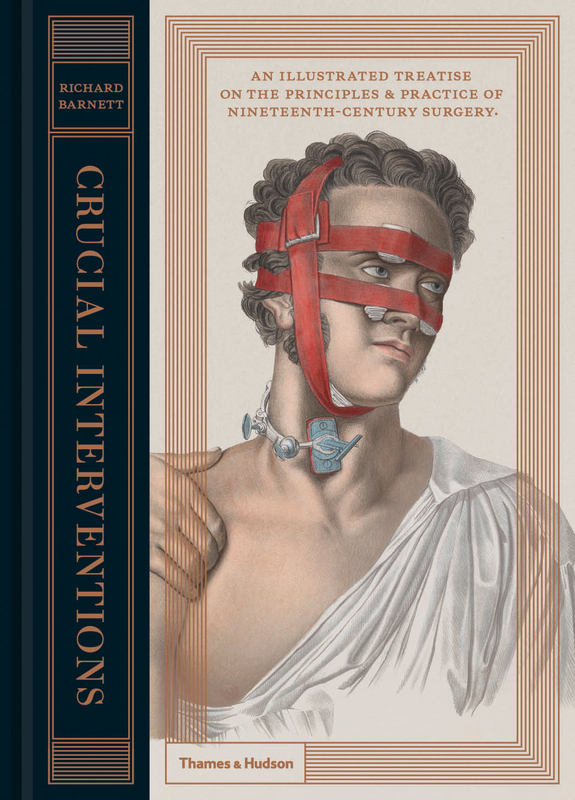 With a foreword from leading surgical educator and Wellcome Trust Engagement Fellow Professor Roger Kneebone, Crucial Interventions is a remarkable book on one of the world’s most macabre professions. You can read more about Crucial Interventions on the Thames & Hudson website, and buy a copy on Amazon. Crucial Interventions is published in Taiwan by Rye Field Publications. Kate Wands at Thames & Hudson handles press & publicity enquiries: k [dot] wands [at] thameshudson [dot] co [dot] uk. Joanna Bourke gave Crucial a nice review in the Telegraph, and Rebecca Onion chose it as a Slate Pick. The Guardian Culture website is hosting a gallery of images from the book, as are Buzzfeed and Hyperallergenic. Here’s a short film about it, set in Wellcome Collection’s Reading Room. The Lancet published ‘Between survival and wholeness’, – a reflection on my own experiences under the knife and the place of patients in the history of surgery. I talked about Crucial Interventions at Carlyle’s House in Chelsea, the Hampstead and Highgate Literary Festival, the York Festival of Ideas, the Cheltenham Science Festival, the Edinburgh International Book Festival, and Wellcome Collection, and spoke at the National Archives as part of my stint as their Writer of the Month. Carianne Whitworth interviewed me for the National Archives blog. We also held an informal celebration for the book at the High Holborn branch of Blackwell’s.